Luxurious Pet Friendly Cabins Waiting for You! Luxurious Gatlinburg cabins are awaiting your arrival! If you and your family are looking for the perfect cabins in Gatlinburg TN, we news for you. Not only are our cabins filled with luxury and beauty, but also have one unique that many cabin rental companies do not. Many of our Gatlinburg cabins welcome your pets along for vacation! Don’t pay the large kennel costs when you can bring your “family” members along with you! If you have to board your dog while you’re on vacation, you’re looking at steep costs. Nightly boarding rates can range from $25-40 a night! That rate doesn’t include walks for your dog, food or play time. If you’re going away for a week, the boarding costs could be over $100 before it’s all said and done. Eliminate those extra vacation costs; it’s time to relax! Dogs make the best hiking companions. Bring your furry friends along with you on the trails this fall. Be sure to only bring your dogs on the easy-moderate trails to keep their safety in mind. Give your dog a long, well deserved walk through the Great Smoky Mountains! Dogs are family. When you bring the family to our Gatlinburg cabins, we mean the whole family. 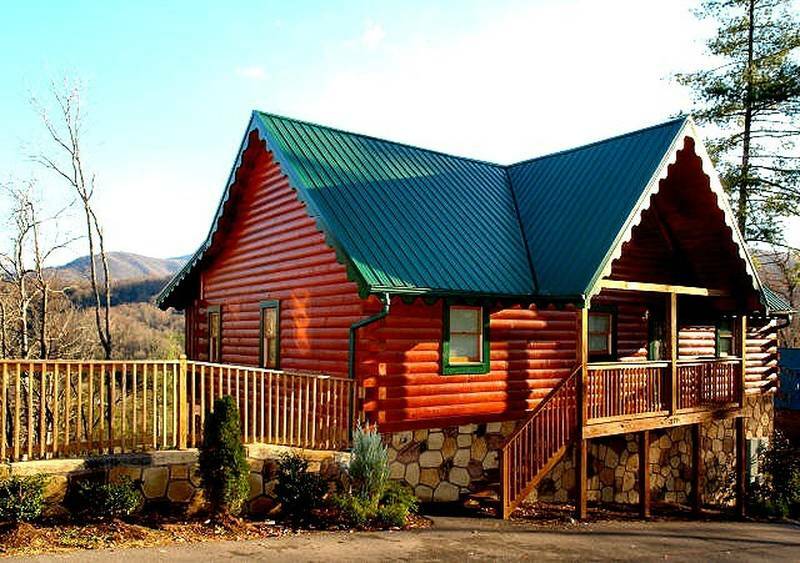 Make our cabins in Gatlinburg TN your home away from home this season. Bring your pets to our pet friendly Gatlinburg cabins and enjoy the comfort of having the whole family in one place. Book your stay at one of our pet friendly Gatlinburg cabins today! We can’t wait to meet you and your furry friends!